On the 13 June 1952, a Swedish signal intelligence equipped DC-3 was shot down over the Baltic Sea. 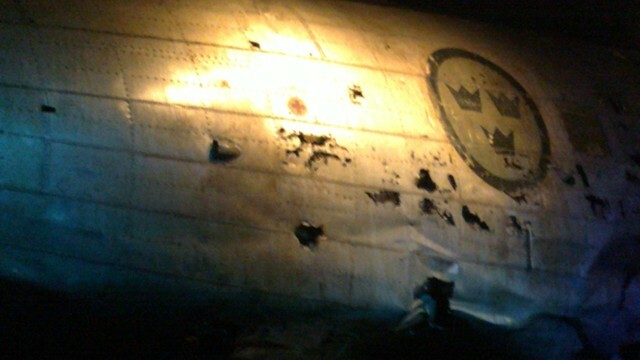 The plane was found on the seafloor in 2003. It was salvaged and is now shown on the Swedish Air Force Museum. The story of the DC-3 is a flagrant example of how a government propagates a belief that is not true, or at least not the whole truth. By letting a museum distort the history, this is taken one step further: Lies become institutionalized. At the museum, the overall impression a visitor gets is that an innocent Swedish plane was shot down by the Soviet Union. The Swedish innocence is one of the lies. Only at a single place in the museum, the illegal nature of the flights of these DC-3s is hinted. On a sign you can read that in the early 1950s, there were continuous violations of the Soviet airspace by British and American reconnaissance aircraft and also by Swedish. 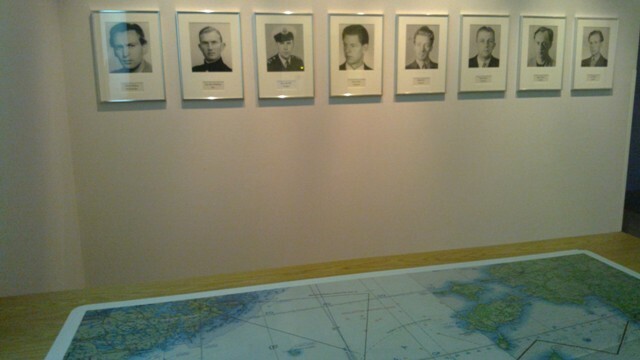 The museum does not tell you that a Swedish crewmenber had seen the islands Saaremaa and Hiiumaa from “the wrong side” on an earlier flight with the same or a similar plane or that the Swedish military many years later forced the burning of a crewmember diary. That information can be found in Cecilia Steen-Johnsson’s book with the long title Ett folkbedrägeri: DC-3:an och svensk säkerhetspolitik: Sverige och NATO 1952-92. Instead, the museum sells another book about the DC-3 in their shop, which tells the story much more the way the Swedish authorities want it to be told. Interestingly, that book by Christer Lokind claims that: “No authority and no archive is withholding material related to the DC-3 affair. Sometimes, however, one has to note that certain material that should be in the archives just cannot be found.” In those words, he actually reveals what has happened. Facts have been erased. At one place in the museum, I could also find that they admit this. Another lie is probably the number of people on board, when the DC-3 was shot down. The official story is that there were eight men in the crew, shown on the photo above. However, Anders Jallai (who was the project leader when the DC-3 was found), has compiled much information supporting that there were actually nine people in the crew that day. For more information, see his web page about the DC-3 (in Swedish). Within NATO, one thinks about the recruitments that may be necessary for the future, which journalists can be connected, which the future’s influential industry leaders can be. The talent hunt goes on in the secret, one must not lose the grip on Sweden when useful people retire or die. An internal organization of reliable Swedes, which in a crisis can act for the Western alliance in desirable way, must be continually renewed. This is incompatible with democracy. This entry was posted in Uncategorized on 2016-04-06 by Webmaster. Don’t make us Gangjeong villagers feel pain any more. The government has already built base, military residence and road. And now it is even to take away our livelihood. The base is reported to have caused a deeply divided community and some fear that the base could draw South Korea into conflict. This entry was posted in Uncategorized on 2016-04-02 by Webmaster.